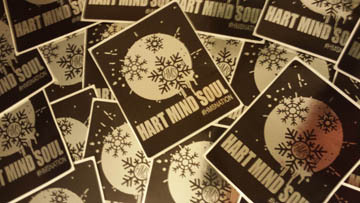 NEW Silver Foil custom screen printed and embossed stickers from Hart (heart) Mind Soul and the HMS nation! Bright, shiny and guaranteed to take your professional sticker campaign to the next higher level. Backed by our Five Star custom sticker product guarantee you can rest assured that you are getting the BEST stickers on the west coast. Hands down. 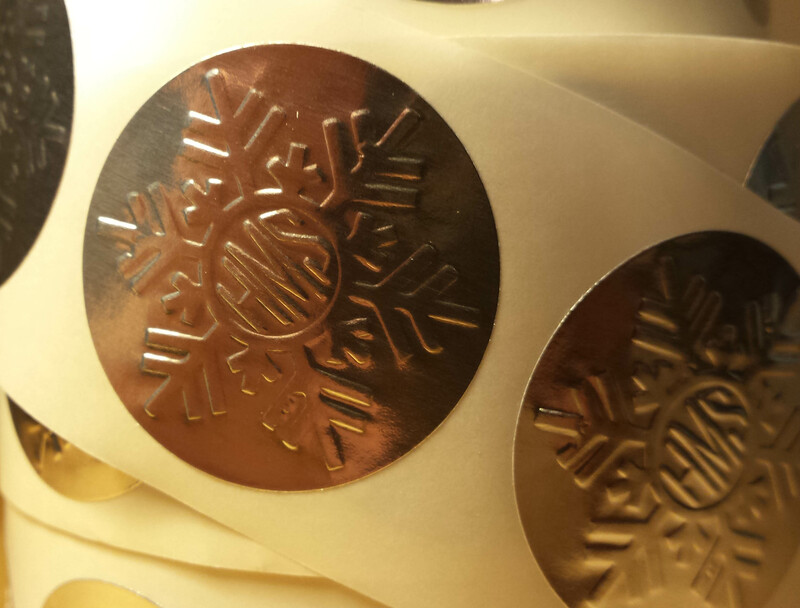 Ask about special holiday specials on Silver Foil Sticker Printing and request a quote from any smartphone or tablet. When you need top quality custom embossed silver foil stickers and foil screen printing contact the industry professionals at Hart Mind Soul. Because there are a lot of companies that can print foil stickers, but very few companies that can do it right. 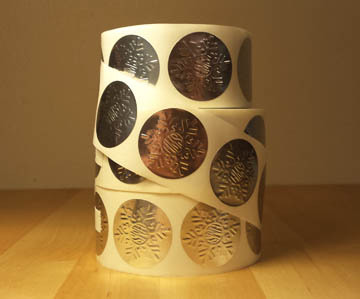 When you want the BEST solution to your custom sticker needs from Oregon to California, ask HMS. best silver foil stickers, hart mind soul silver snowflake sticker, hms nation, silver foil custom stickers Portland, sticker embossing Portland. Bookmark.